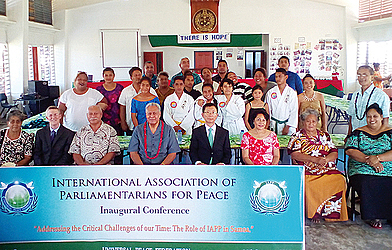 PR - The International Association of Parliamentarians for Peace (I.A.P.P.) was inaugurated in Samoa on Tuesday, two weeks ago. 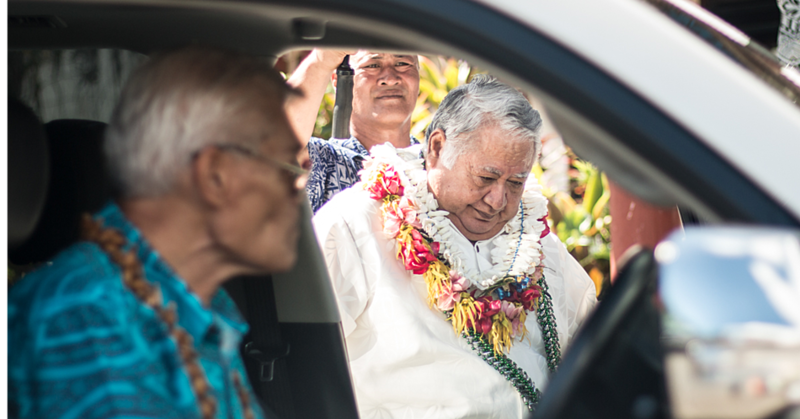 The event was attended by the Head of State, His Highness Tuimaleali’ifano Va’aletoa Sualauvi II. Two current Members of Parliament also attended and spoke with key community, youth and women leaders. The emcee for the event was Seti Suafa, the President of U.P.F. Samoa. Member of Parliament, Tafua Maluelue Tafua, welcomed everyone on behalf of the government and gave an eloquent overview of the current issues and challenges facing Samoa. A beautiful Tong Il Moo Do demonstration was performed by the youth as the T.I.M.D. philosophy based on filial piety, mind-body unity and character development was explained by Mr. Suafa who is the T.I.M.D. leader in Samoa. 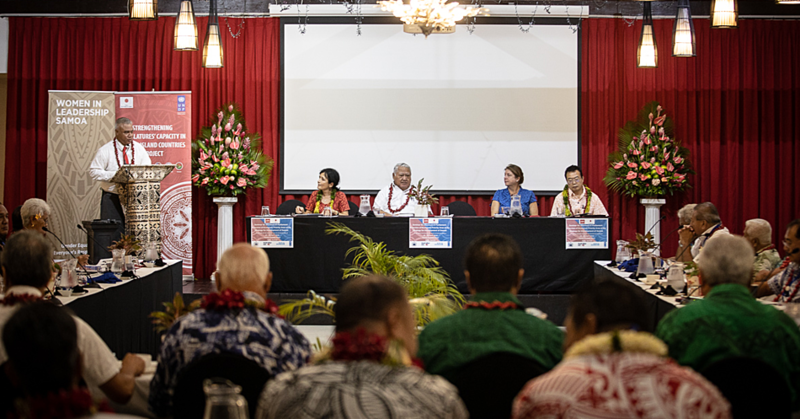 This was followed by an opening address by Rev Shang Seon Park, Oceania Regional Chair of U.P.F., who highlighted the unique potential of Samoa to become the first nation of God. Rev Park explained his strong impression that Samoa needed to continue to revere God and in particular to respond to the call of God into the future. The next presentation was by U.P.F. Region Secretary-General, Greg Stone who introduced the principles and concepts behind the I.A.P.P. and reported how it had been launched successfully in many nations around the world. Mr. Stone went on to explain the central importance of the family as a foundation for peace in the nation and world. Member of Parliament, Victor Tamapua highlighted challenges related to aspects of the changing culture. The President of S.U.N.G.O, Roina Faatauvaa-Vavatau, spoke about the challenges facing families and the youth. 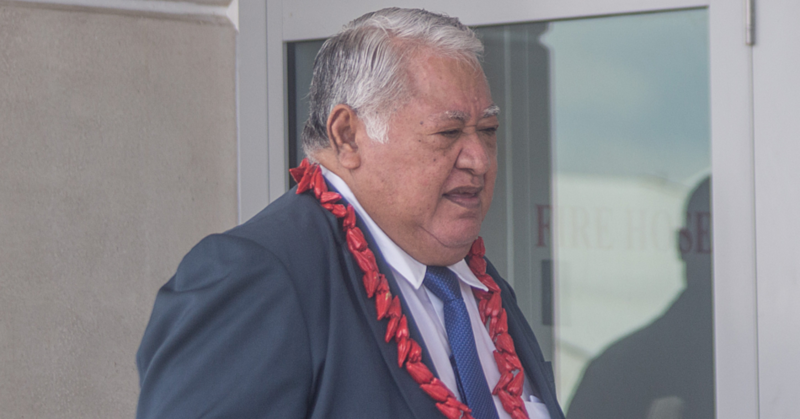 Following the launch, Rev Park, Seti Suafa and Greg Stone attended a meeting with the Prime Minister, Tuilaepa Sa’ilele Malielegaoi in his office. The meeting was very convivial as the Prime Minister signed the I.A.P.P. Inaugural Resolution and signed and gifted two copies of his recently published memoirs entitled “Palemia” meaning Prime Minister in Samoan language. He also fondly recalled and related his experiences with Rev. Moon when he came to Samoa and spoke at the House of Prayer for four hours. He also spoke of his inspiration at hearing the Divine Principle’s explanation of the Fall of Adam and Eve during an International Leadership Conference he attended in Korea.